Hey Look! 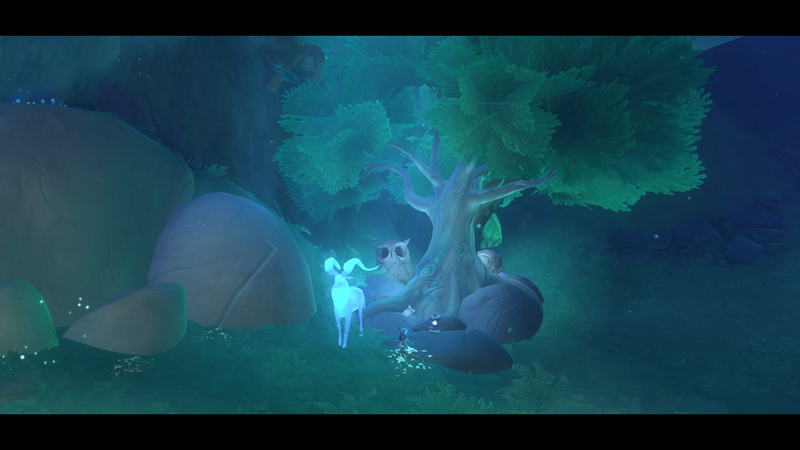 A Wildstar Blog Post! I apologize in advance for the following: Well not the picture, what’s after it! I’ve got a fever. And the only prescription is more Yellowbell. 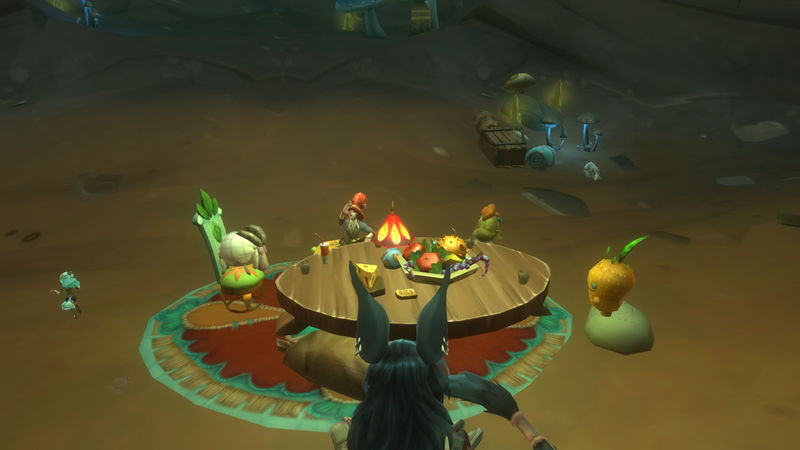 Now then.. Like most everyone else, I am playing the Wildstar head start that began in the wee hours of Saturday morning. And like most everyone else, I am enjoying the hell out of it. What keeps going through my mind, and what I keep coming back to as I’m playing it, is just how much fun it is! The game play is exciting and engaging, it’s been a long while since I’ve been grinning as I frolic about, defeating these new creatures, meeting new (native) friends, making new (native) enemies. I like the telegraph system, where it shows you an outline of where your abilities are going to hit, and where to not stand when the enemy is attacking you. I chose spellslinger, the same class I played for the majority of the beta weekends I was invited to, and it’s so fun. I’m going to keep saying that word, so just bear with me! I want to try healing with her at some point, but for now I’m enjoying dual wielding pistols and pew-pew-ing FAR TOO MUCH to deviate from it quite yet! It’s a very mobile class, I’m level 11, only got to 14 in the beta, so I’m reaching the end of my knowledge as far as the spells and abilities go until I surpass that level. The path I chose is Explorer- which mainly comprises of me plummeting off high places. It is gleefully dangerous. The path has you explore the world, obviously, unlocking every nook, cranny, and cliff in each zone. You can go on treasure hunts, stake claims ( if there is a player with another path standing nearby, they get a little bonus item), and just see all there is to see. Other options are Soldier (did nothing with this in Beta, so I have nothing), Scientist (scan stuff, didn’t do a lot with this, had a level 3-4 character), and Settler (these are the guys that everyone loves, they can create little buff stations by collecting things scattered around the area, as well as other goodies, throughout the zone). I’m on a (RP-PvE) server with a couple friends, and I am making a lot of new ones. I’ve grouped up with random people to complete group quests, had random heals thrown at me, have thrown out random heals. Zone chat is full of the normal fresh baby MMO chatter, trolls trying to establish themselves as trolls, the RP-ers RP-ing, and people asking the same question multiple times in a row ^.^ But there is a good sense of community already, people seem far more helpful than in other games I’ve played, and there is a good sense of everyone enjoying themselves immensely! I’m not going to compare this game to WoW. I’m sure that’s being done elsewhere, and I just don’t want to do that. They’re both MMORPG’s, have their similarities, and their differences. I’m still going to be playing WoW, but for right now, the new and shiny is new and shiny, and I am going to be frolicking in Nexus (not the dungeon, that’s what they call- oh never mind) for a bit! I’ll bring this to a close, with a couple more screenshots, by just saying again how much fun I am having. 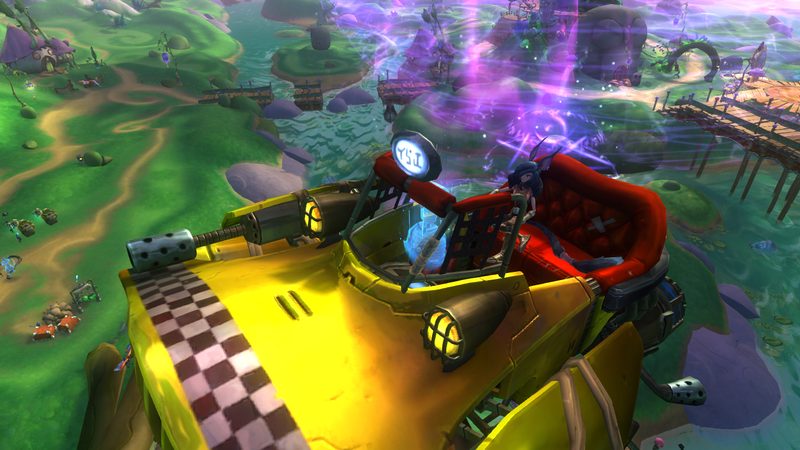 Little details, as well as big obvious ones, like the mini rock concert that happens when you level up, the taxi ‘drivers’ being amazingly hilarious, and the Lolli-lopp quest, make this game shine. I will most likely definitely be writing more about this in the future, so stay tuned!